Movie fans can’t miss the must-see family film of the year, 3 Days to Go. Written and directed by Bianca Isaacs, the film tells the story a family thrust together in the wake of their father’s funeral, along with all their respective drama. This was the award winning producer’s directorial debut, and her goal was to make an original story. 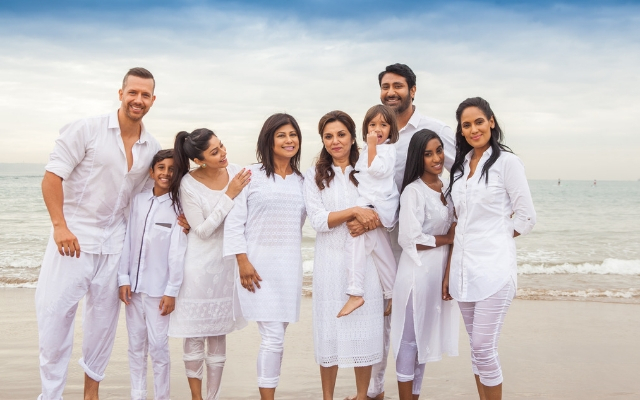 The people in front of the camera are equally passionate about the project, and actress Kajal Bagwandeen plays Amy, the youngest of the family’s children, and a self-professed “spoilt brat”. On top of acting in the film, she also co-produced and served as the film’s casting agent- a rather daunting task. While it can’t have been easy balancing all of her responsibilities, Kajal says she has always wanted to make a contribution to the film industry, and performing roles behind the camera will help her do that. Other stars include Zakeeya Patel who plays a cousin and a very bad influence, while Isidingo’s Leeanda Reddy plays Janet, a sibling hiding her relationship from the family. Our very own Jonathan Boynton-Lee plays her handsome partner, and is happy to be playing the nice guy after a recent stint as the villain in another one of his films. Bollywood star Lillete Dubey brings some international star power to the film and acts as the family matriarch. The film is a tribute to families everywhere, and according to Isaacs, serves to remind people that even though no family is perfect, it will always come first.